Dora M. Harper, our beloved mother, grandmother, sister, aunt, neighbor and friend, passed away at her home on March 27, 2019, after a very short illness. Our hearts are broken, as she was in great health for most of her 93 years of life. We are grateful she was able to see her six children gather around her and be with her for her final days. Our mother was born on April 8, 1926, in California, and we were looking forward to celebrating her birthday. Mom loved her house here in Hurricane, Utah, and took great pride and joy in decorating her home, inside and out. She enjoyed her morning routine of having a cup of coffee while reading the newspapers or feeding the songbirds and watering her plants. We children have fond memories of her various art pieces and wonderful family mementos. Her passion for cooking, music, photography and movies was happily passed on to all of us. 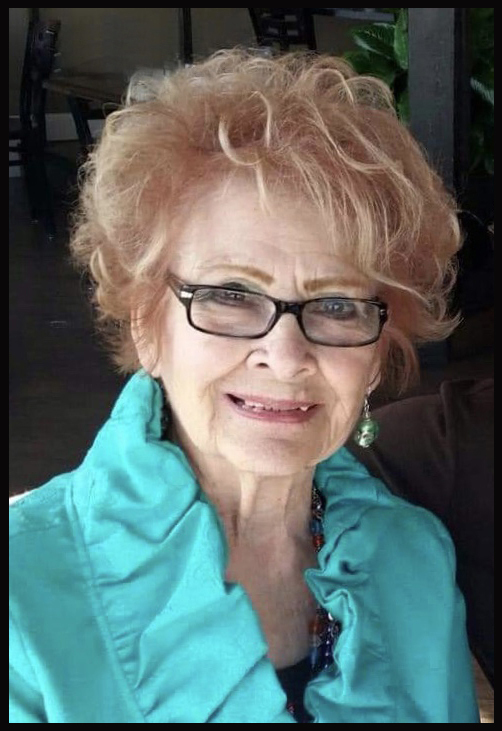 Mom loved to go shopping or take car rides with her children, as well as going out to eat with her friends or taking a drive to Mesquite to play her slot machines. She looked forward to her weekly appointment with her hair stylist or nail salon, and she loved her jewelry pieces and stylish clothes. Mom enjoyed her privacy, but would always be there for us if we needed a good listener or a friendly shoulder to cry on. Her brain was very sharp until the end. We loved hearing of her memories when she was younger and reminiscing about her conversations with her brothers and sisters. Mom endured many hardships during her life, yet she remained strong and was a shining example of how to survive with patience and grace. She had a big heart and was generous to a fault, even offering a ring or bracelet to strangers who complimented her on her fashion. We have always been so proud of our Mom – she was so special, and we will miss her every day. Her passing leaves a huge void in the lives of her grieving children and of those who also knew and loved her. She had wonderful neighbors and friends, especially Tammy, Darlene, Renee, Aurora, Chantelle, Alicia, Barbara and Maria. We would like to thank all of you for taking care of Mom in your own special way, and we are forever grateful to you. We would also like to recognize and acknowledge the wonderful care Mom received from the nurses and aides during her short hospice time. The hospice team was so helpful not only for Mom but also for our family. She was preceded in death by Milton, her dear husband of 33 years; her daughter Lydia, and her granddaughter Andrea. Our Mom is survived by her six children: Phyllis Barriga (Richard) of Bullhead City, Arizona; Michael Aldrete (Carmen) of Summit, New York; Phillip Aldrete (Joanne) of Charlotte, North Carolina; Joni Harper Dunn (Thomas) of Hurricane, Utah; Milton J Harper, Jr. (Rhonda) of Dallas, Texas; Julie C. Harper of Bar Harbor, Maine. She had 10 grandchildren and 11 great-grandchildren. She is also survived by her siblings: John Montana, Bill Montana, Annabelle Hernandez, Juanita Owen and Ricky Collins.